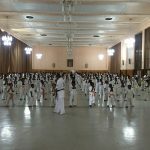 The last junior belts grading (Kyu grading, white to brown belt) in 2017 was attended by 161 students taking the test. 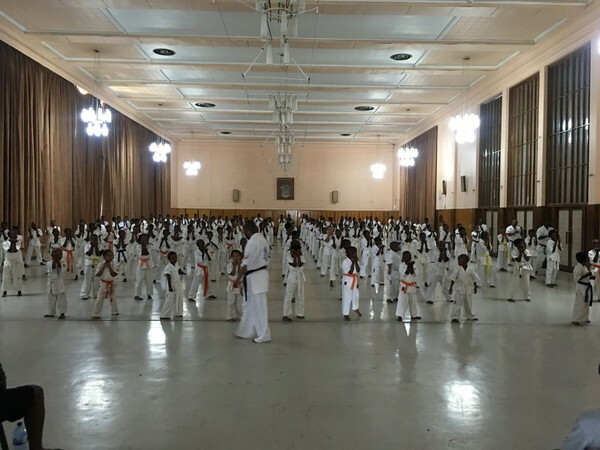 This is the highest record for kyu grading test attendance ever seen at Matlosana and arguably in South Africa. 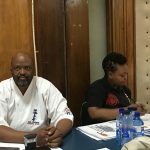 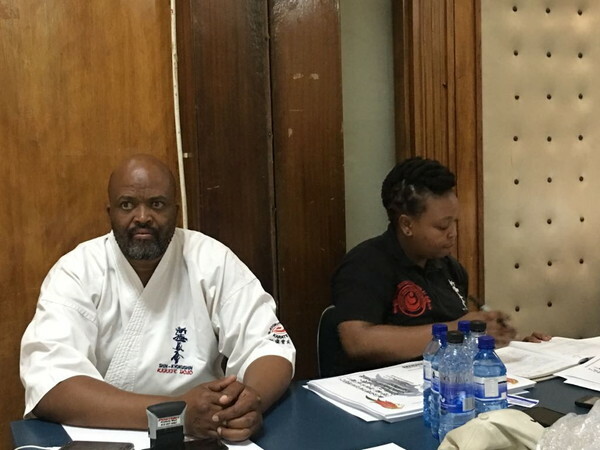 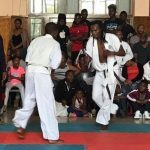 The grading proceedings were conducted by Shihan Isaac Mashinini assisted by Sensei Thomas Mayekani (2nd Dan), Sempai Maurice Moselakgomo (2nd Dan), Sempai Samuel Rampai (2nd Dan), Sempai Piet Merafe (1st Dan), Sempai David Mokoena (1st Dan), Sempai Reginald Nteo (1st Dan) and Sempai Thandeka Mbonambi as the administrator. 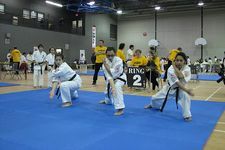 The performance of the students was very good, showing their determination and hard work put in preparing for this day. 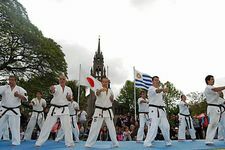 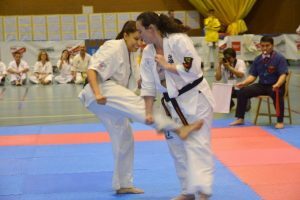 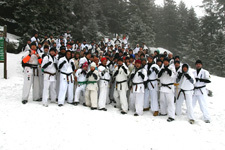 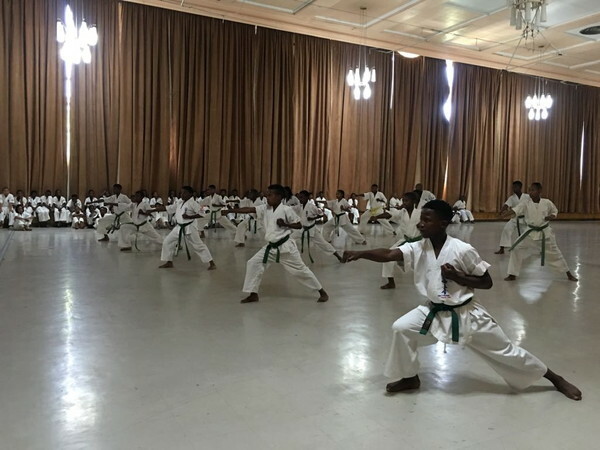 The syllabus focused on physical training, Kihon, Ido-Geiko, Kata and Kumite sessions specific for each kyu level. 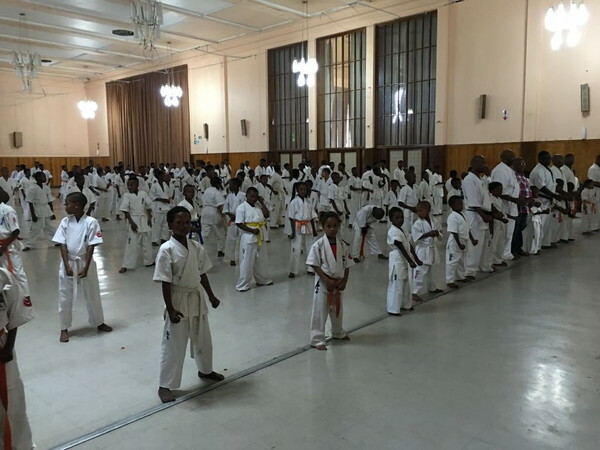 What was most impressive and outstanding about the grading was the high number of student (161) taking their kyu grading test on this day. 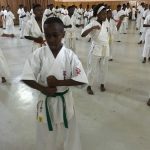 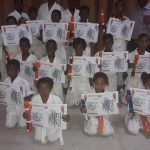 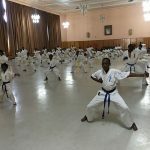 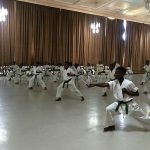 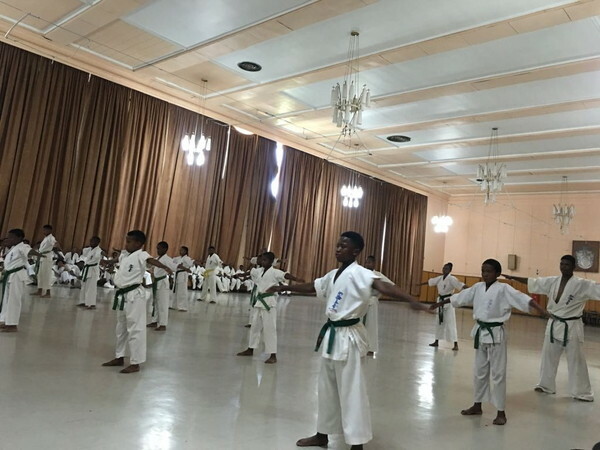 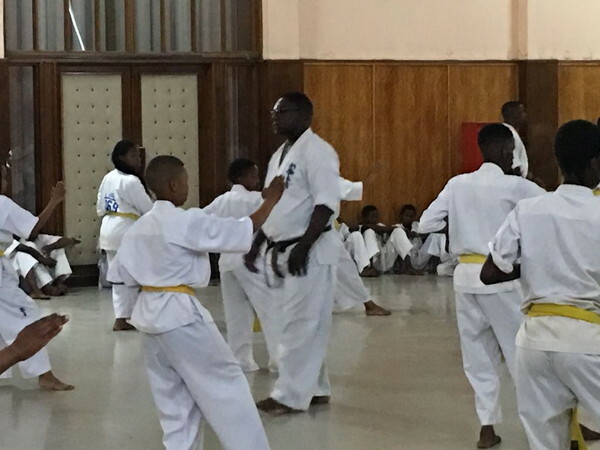 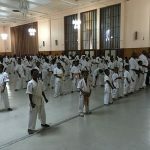 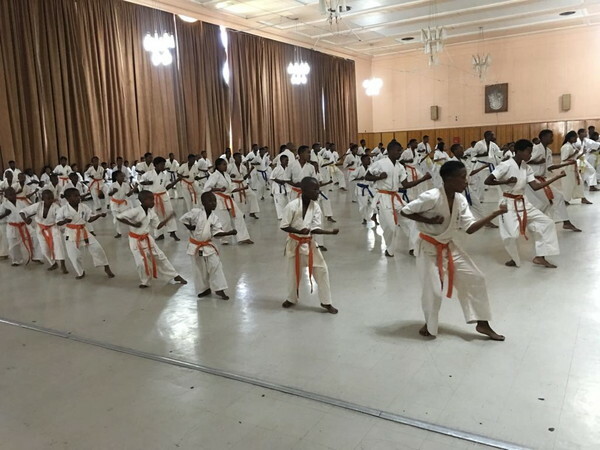 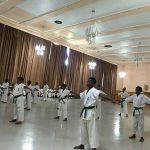 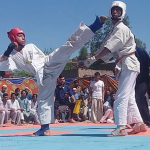 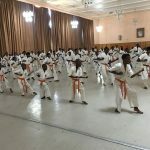 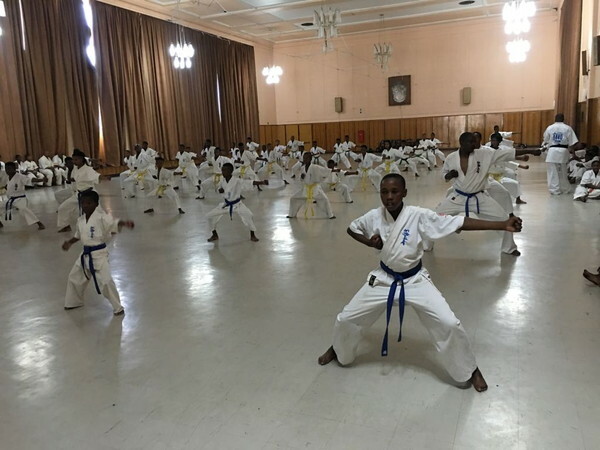 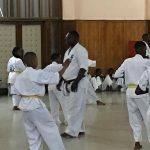 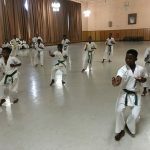 This is good, and it is evident that Karate in North West Province has grown and is continuing to grow alarmingly and that Karate development thereof in Shinkyokushinkai is succeeding and growing yearly. 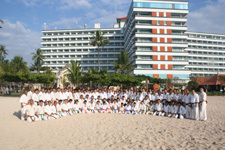 In 2016, the kyu test was attended by 145 students. 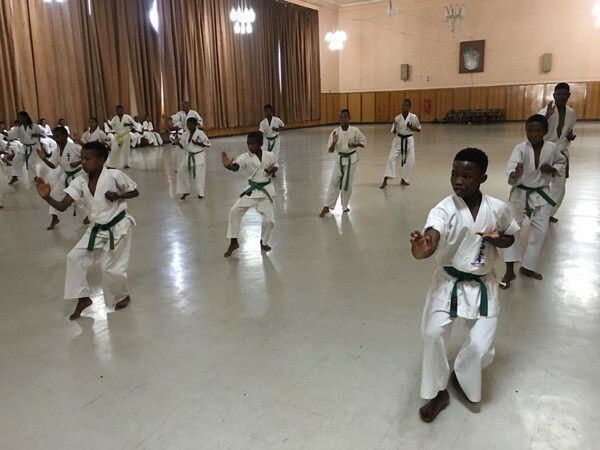 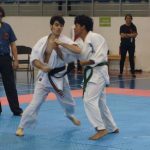 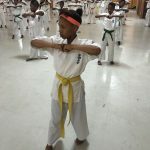 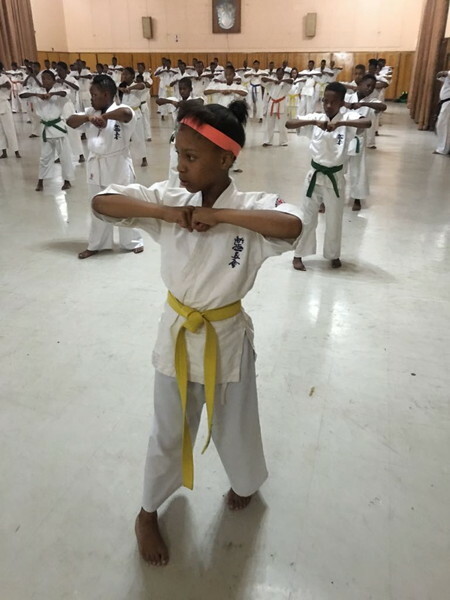 Students were encouraged to continue learning and practicing Karate every day in their respective dojos in order for them to acquire more knowledge and skills and become better Karate-kas and future instructors. 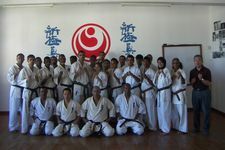 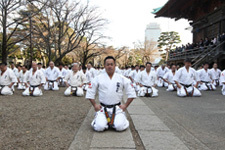 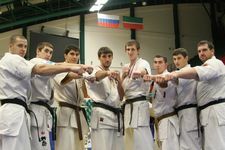 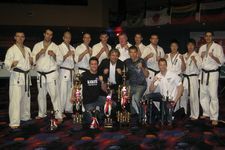 The host Sensei Mayekani, congratulated the students for their hard work and commitment. 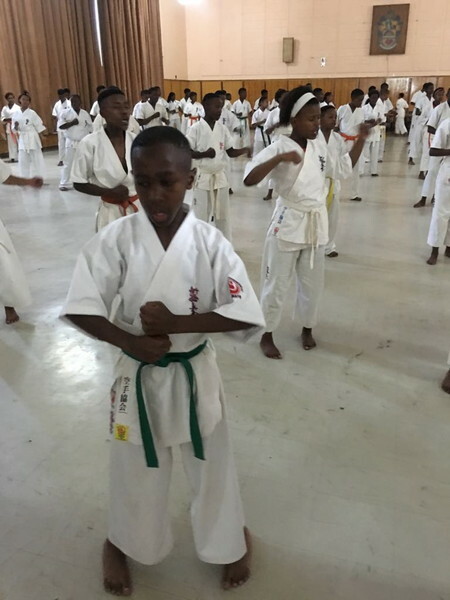 He also extended his gratitude to all the parents who supported the event. 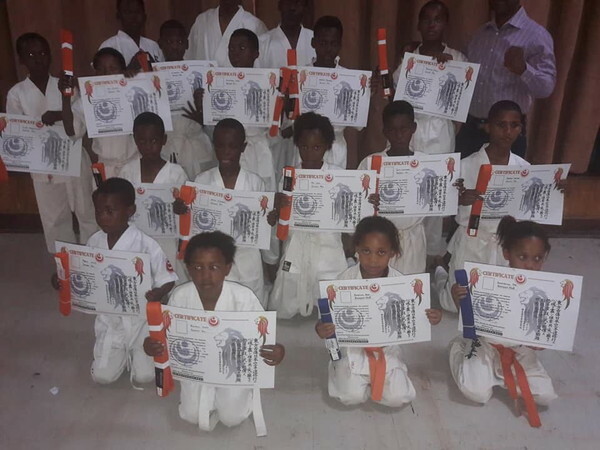 The event was possible and successful through the efforts and support of parents and instructors from various dojos in Matlosana and North West Province.